Archbishop Rowan's New Statesman media triumph? Late last week, while I was busy with other things, the press and the Christian blogosphere here in the UK went wild over what Rowan Williams, the Archbishop of Canterbury, wrote in the New Statesman magazine, in an issue for which he was the guest editor. But was this affair really the media disaster for the Archbishop which some have made it out to be? In the entire article, Rowan does not actually criticise a single government policy. What he does say is that people are afraid of them, and the government needs to explain what is going on better. One point I haven’t seen made in the stuff I’ve read – although I’m sure someone has made it – is to ask what’s happened to Rowan’s media person? Surely this is something where they should have got their leak and spin in first? … That kind of news release followed up by phone calls should have trailed the New Statesman well in advance and tried to set the agenda. Did they try and fail, or were they asleep at the keyboard? In a comment on that post, I mused on whether “Rowan’s media person” even existed. After all, as I reported at the time, in May 2008 the Archbishop decided not to replace his press officer who had resigned. But it seems that rather quickly Rowan saw the error of his ways and, not later than September that year, appointed a certain David Brownlie-Marshall as his press officer. I am an ambitious, energetic and entrepreneurial individual, who has worked in PR, Marketing and Social Media roles in London, New York and Edinburgh. My current role at Lambeth Palace involves managing the Archbishop of Canterbury’s Social Media strategy. So my guess would be that Brownlie-Marshall deliberately provided “their leak and spin” to the Daily Telegraph to provoke the reaction seen in their article, fully intending to start the kind of controversy which we have seen. Perhaps he wants the church to be portrayed as somewhat left-leaning and opposed to government policies. After all, he knows that that will win it a lot of friends. Of course it will also make enemies, but mainly among people who I suspect Brownlie-Marshall, and perhaps also Rowan, secretly despise. I’m sure they would both be very happy to put a final nail in the coffin of the old myth that the Church of England is the Tory Party at prayer. This matter has got the country talking about issues of social justice and how the Christian faith relates to them. And it has enhanced the Archbishop’s reputation, at least among that majority of the country suspicious of government policies in this area, for taking a strong stand on these issues. It has had, I would think, a very positive effect on the Church of England as a whole. 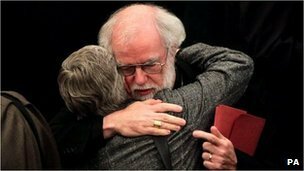 Rowan Williams and David Brownlie-Marshall are to be congratulated for how they handled it. THE Bishop of Durham is to retire. But that is in fact a misleading way to put it; the Church Times Blog is more accurate in its headline Bishop of Durham to step down. The truth (at least I assume it is the truth – here quoting the Church Times post but the Durham Times confirms it) is that Bishop N.T. Wright “will be moving to the University of St Andrews to take up an academic post”. Maybe, at age 62, he is able to collect his pension from the Church of England, but he can supplement it with an academic salary. Of course that won’t make him rich, and he will have to vacate the mediaeval castle which is his official home as Bishop. 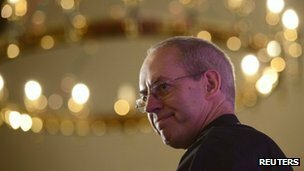 The bad news is that he is leaving not just the Church of England but also England itself, for the remote but prestigious small Scottish town of St Andrews. The good news is that, in his new appointment as a research professor, he will have more time to give to his important academic work. Meanwhile this will leave a vacancy in the Church of England’s third most important diocese. 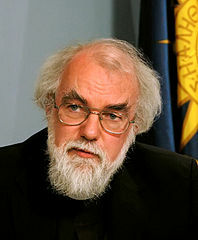 I can already suggest a candidate for this post: Archbishop Rowan Williams. He would make an excellent Bishop of Durham, traditionally a post for a top theologian as the diocesan responsibilities are relatively light. By accepting this move Rowan can set aside with honour the political bits he doesn’t like of being Archbishop of Canterbury, and spend the last decade of his working life (until retirement at 70, in 2020) in a post more suitable for his skills. The last act for the Anglican Communion? Since the busy summer of GAFCON and the Lambeth Conference, nearly two years ago now, there have not been so many stories around about the imminent break-up of the Anglican Communion. It was beginning to look as if a typical Anglican fudge had worked, with only a few Anglicans actually leaving their troubled church. That is not to say nothing has happened for nearly two years. The Fellowship of Confessing Anglicans (FCA), which arose from the GAFCON conference in 2008, doesn’t seem to have had much of an impact. More significant was the formation of the Anglican Church of North America (ACNA), bringing together conservative Anglicans in the USA and Canada who had left the official national Anglican churches. ACNA has become so significant that even the General Synod of the Church of England recently gave it some kind of official recognition, although formally it remains outside the Anglican Communion. But the process which led to the crisis is continuing, and the papered over cracks are gaping open again. Some people had hoped, and perhaps even believed, that The Episcopal Church (TEC), the official Anglican church in the USA, would abide by the moratorium on consecrating practising homosexuals as bishops, as it had reportedly agreed. But, as I noted at the time, in July last year the bishops and other General Convention members of TEC in effect voted against this moratorium. The Communion survived this vote because, as everyone realises, such a decision is meaningless unless put into practice. Now, however, things are about to change. A little over a week ago the leaders of TEC officially confirmed the election of the lesbian Mary Glasspool to be a bishop in Los Angeles. If TEC ignores, as is to be expected, some last minute pleas which will no doubt be sent from various directions including Lambeth Palace, and the consecration of Glasspool actually goes ahead on 15th May, then something clearly new will have happened. No longer can people say that the election of the gay bishop Gene Robinson was a one off aberration, and no longer can they claim that TEC is at least more or less abiding by the various moratoria it had supposedly accepted. We are now indisputably in a radically new situation. TEC as a body has determinedly, perhaps irrevocably, chosen autonomy over “communion with autonomy and accountability”. It is important that this is not simply a matter of disagreement about biblical interpretation and sexual ethics although these are central and important. It is now very clearly also a fundamental matter of truth-telling and trust. In September 2007, at the Primates’ request and after meeting with the Archbishop of Canterbury, TEC bishops confirmed they would “exercise restraint by not consenting to the consecration of any candidate to the episcopate whose manner of life presents a challenge to the wider church and will lead to further strains on communion”. They made clear that “non-celibate gay and lesbian persons” were among such candidates. When asked recently how they could therefore now proceed to confirm Mary Glasspool in the light of that assurance, one TEC bishop said this simply expressed where the bishops were in 2007 and they may be somewhere different now. At least where they are now is crystal clear. Both moratoria have been rejected. In addition, TEC is pursuing legal actions, with widespread concern its leadership intends aggressive action against the diocese of South Carolina which upholds the Communion’s teaching. Although decisive action is necessary, Archbishop Rowan’s limited powers within the Communion and his laudable desire to keep on going the extra mile to enable dialogue mean many think it unlikely. Some long ago gave up on him. Many, however, both within the Church of England and the wider Communion (particularly in the Global South which meets next month) have been patient and sought to work with him by supporting the Windsor and covenant processes. They need now to make clear that unless he gives a clear lead then all that he and others have worked for since the Windsor Report and all that is promised by the covenant is at risk because of the new situation in which TEC has placed us. Indeed. The time for “going the extra mile” is past, or will be on 15th May. If Archbishop Rowan continues to take no action, he will now lose the respect not just of extreme conservatives but also of those in the centre, like Fulcrum, whose concern is not so much with homosexuality as with “a fundamental matter of truth-telling and trust”. How can TEC remain within the Anglican Communion while continuing to deceive its communion partners? 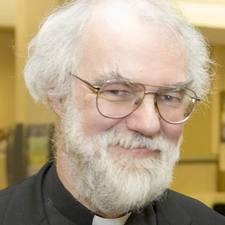 Rowan Williams’ position will be untenable without the support of the centre of his own church. So he needs to act – or depart and leave his successor to act. It is not yet quite the end for the Anglican Communion. But we are past the end of the beginning. This is surely the beginning of the end, at least of the Communion as we have known it. Should errant Christian leaders be restored? While I am taking a break from my series on Authority, power and rights in the New Testament, my near neighbour (at least from a global perspective, but we have never met) Sam Norton has started a series on a related topic: Does the priest have to be pure? In this he talks about the Donatists, whom I discussed here nearly two years ago. Sam gives an excellent explanation of why they were wrong to teach that the ministry of a Christian leader is invalidated by their personal sin. This doesn’t mean that the sins of Christian leaders should simply be ignored. Unrepentant sinners like Michael Reid certainly should not be allowed to continue in ministry. But it does mean that those who fall should be allowed to repent and be restored, the process which was at least starting with Todd Bentley (but I haven’t kept up with that story) – and which the Donatists did not allow with the original traditores in late Roman times. But this argument against the Donatists has its limitations in that it is not really applicable when a Christian leader not only falls into sin but also teaches that that sin is in fact right. This, arguably, is what many of the practising homosexuals in Anglican and other churches are doing: they are not only sinning (at least according to traditional biblical standards) but also teaching that what they are doing is right. But the argument against Donatism doesn’t mean that these people should be accepted, because unlike the traditores they are unrepentant. Indeed the same can be said corporately of The Episcopal Church, which has this week demonstrated its lack of repentance over the Gene Robinson affair, as well as its contempt for the Archbishop of Canterbury, by approving the consecration of another practising homosexual bishop. This is a direct challenge to the rest of the Anglican Communion, which will renew the tensions which have brought it close to falling apart. But this teaching in effect approved by TEC is also rife in the Church of England. I am now looking forward to the continuation of Sam Norton’s series. He promises to answer the question “what do we do when the priest isn’t pure?” In a comment I challenged him also to consider what happens when the priest is not “holding fast to the truth of the faith”. I hope he also applies these principles to the current situation in the church and the Communion in which he is a priest. PS: I will not allow any comments here concerning Todd Bentley, unless they include significant and verifiable new information about him.